Receive a new issue every three months. Select the CE option to be eligible for relicensure credits. Each of our four issues is worth 6 CE credits, for an annual total of 24 credits. If your state requires more than 24 credits per year, please call one of our friendly customer service representatives at 1-800-342-0454 to see how you can purchase back issues of D.C. Tracts to fulfill any additional, allowable credits you require. The D.C. 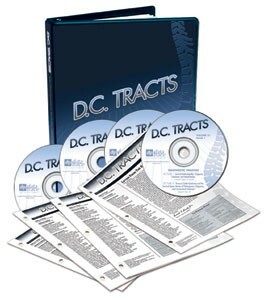 Tracts continuing education program offers well-written, concise, and relevant content for today’s busy Chiropractor. Each issue contains a feature article, three to four abstracts and commentary on recent, important articles, and two 40-minute audio lectures by experts in the field. And, it is easy to subscribe and earn up to 24 yearly CE credits - or more, depending on how many home study credits your state approves. All areas of clinical interest are covered, especially those pertaining to nonsurgical treatment of the spine and neuromuscular system. Current articles are expertly condensed in an easy-to-read format with commentary on how the information can be applied in practice. Also included are important illustrations from the original articles and key references for further reading. D.C. 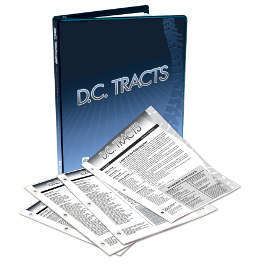 Tracts is indexed through Chirolars® and CINAHL.